New Albany, a master planned community, takes a sophisticated approach to sustainable development and ongoing public-private partnerships. Our community is built on an unparalleled commitment to lifelong learning, healthy living, culture, leisure and commerce. We work closely with residents and businesses as well as the best land planners, developers, architects, builders and engineers to achieve our shared vision. Our pedestrian-friendly Village Center is anchored by restaurants and coffee houses, shops, the post office the public library, and the Heit Center, our holistic community health destination. Our 200-acre campus for our nationally ranked school system is also there, as is our Jeanne B. McCoy Community Center for the Arts. 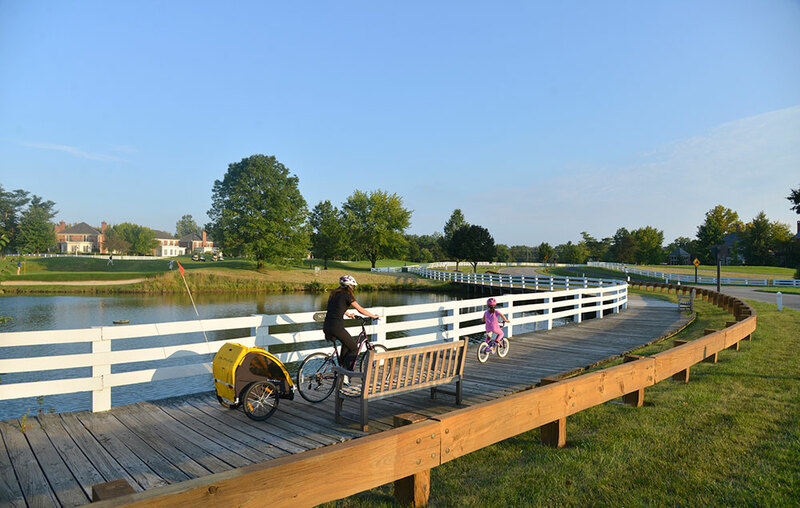 More than 33 miles of paved leisure trails connects our vibrant core and community gathering spot to our neighborhoods and the New Albany International Business Park, the largest master planned office park in Ohio and one of the largest in the Midwest. The Rocky Fork Metro Park on New Albany’s northwestern edge recently received the Governor’s Award as the best Ohio park project of the year. This 1,000+ acre park is a wonderful community amenity made possible through a collaborative partnership between the Metro Parks, Columbus, Plain Township and New Albany. It includes a dog park, running trails and horse trails. There are no current draft plans in progress. New Albany is built on unparalleled commitment to lifelong learning, healthy living, culture, leisure and commerce.